Peter Sykes is one of the most distinguished and versatile keyboard artists performing today. His playing has variously been called “compelling and moving,” “magnificent and revelatory,” and “bold, imaginative, and amazingly accurate.” He has appeared in recital for the American Guild of Organists, the Southeastern Historical Keyboard Society, the Organ Historical Society, American Institute of Organbuilders, International Society of Organbuilders, at the Library of Congress, Boston Early Music Festival, Aston Magna Festival, New England Bach Festival, Portland Chamber Music Festival, New Hampshire Music Festival, and with Ensemble Project Ars Nova, The King’s Noyse, Musica Antiqua Köln, Blue Heron, and throughout the United States, including an appearance in Boston’s Jordan Hall as a featured soloist in the Bank of Boston Emerging Artists Celebrity Series. He is frequently heard on the nationally syndicated radio program “Pipedreams.” Appearances include an all-Bach inaugural recital on a new organ built by Fritz Noack for the Langholtskirkja in Reykjavik, Iceland, Bach’s Goldberg Variations for the Cambridge Society for Early Music and at Music Sources in Berkeley, CA, Manuel de Falla's Harpsichord Concerto with the Chameleon Arts Ensemble, the Schumann Piano Quintet on original instruments with the Van Swieten Quartet, Samuel Barber’s organ concerto Toccata Festiva and a pedal piano recital of works of Schumann and Alkan at Southern Adventist University in Collegedale, Tennessee. In March 2004 he was given the honor of performing the dedication recital on the newly restored 1800 Tannenberg two-manual organ in Old Salem, North Carolina, an event featured on the nationally broadcast television show CBS Sunday Morning. He was a member of the continuo team for the Boston Early Music Festival opera productions of Cavalli's Ercole Amante, Lully's Thésée and Psyché and Conradi’s Ariadne. He also appears regularly in concert and on recordings with Boston Baroque and Aston Magna. With Christa Rakich he created Tuesdays With Sebastian, an independent two-year benefit concert series in which he and Ms. Rakich performed the entire keyboard works of Johann Sebastian Bach for the organ and harpsichord in thirty-four recitals. 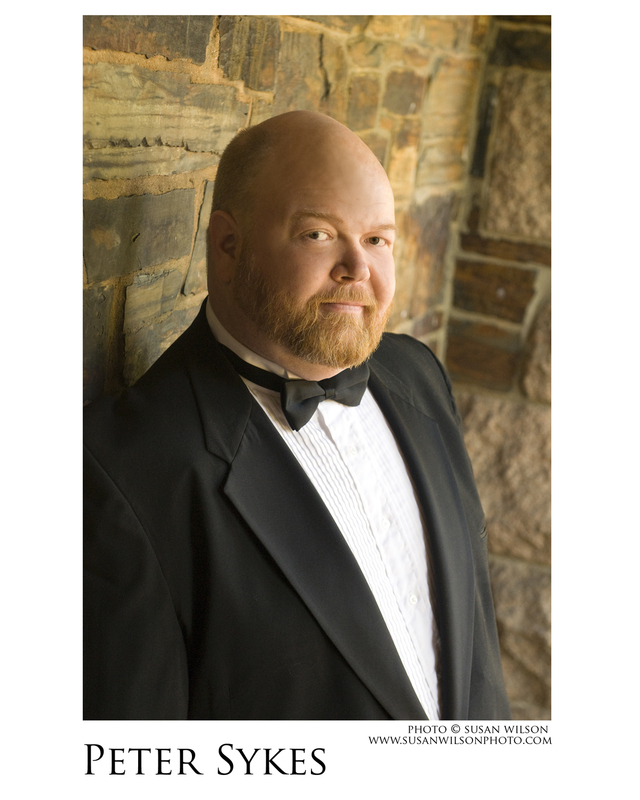 He has premiered new works by Dan Locklair, James Woodman, and Joel Martinson, and has performed well over twenty-five dedication recitals for new or rebuilt organs. He also performs frequently on the clavichord and was one of two featured players on this instrument at the 2009 Boston Early Music Festival. In May 2011 he performed clavichord recitals for the British and Dutch Clavichord Societies in London and Amsterdam, at Fenton House in London and the Cobbe Collection at Hatchlands, and for the “Party in the City” night of concerts as part of the International Music Festival in Bath. In May and June 2014 he returned to Europe for concerts including Domaene Dahlem in Berlin and St. Remi Basilica in Reims. His solo recordings include J.S. Bach’s complete Leipzig Chorales recorded on the Noack organ of the Langholtskirkja in Reykjavik, From The Heartland - Two Nordlie Organs in South Dakota, Harpsichord Music of Couperin and Rameau, A Nantucket Organ Tour, MAXimum Reger: Favorite Organ Works, and Modern Organ Music, a disc of music by Hindemith, Heiller, Pinkham, Woodman, and Icelandic composers on the Noack organ in the Neskirkja in Reykjavik. His bestselling recording of his organ transcription of Holst’s orchestral suite The Planets was named Best of 1996 by Audio Review, a Super CD by Absolute Sound in 1999, and garnered accolades in every review. He appears on the Cambridge Bach Ensemble recording The Muses of Zion, performing organ works of Tunder and Buxtehude on the Fisk meantone organ of Wellesley College, the Music from Aston Magna recording of the oratorio The Triumph of Time and Truth, in which he performs the first known organ concerto movement of Handel, a recording of the organ concerto Cymbale of Julian Wachner, and the Grammy-nominated Boston Baroque recordings of Handel’s Messiah, Bach's B-Minor Mass, and Monteverdi’s Vespers. His most recent solo recordings include the dedication recital on the Tannenberg organ in Old Salem, available on the Raven label, an all-Bach recording on an original Schiedmayer clavichord, also on the Raven label, and the complete Bach harpsichord partitas, available on the Centaur label. Soon to appear will be Book I of Bach’s Well-Tempered Clavier and the complete Bach sonatas for violin and obbligato harpsichord with Daniel Stepner. In demand as a teacher and mentor of aspiring professional performers, he is Associate Professor of Music and Chair of the Historical Performance Department at Boston University. In the spring of 2014 he was invited to join the faculty of the Historical Performance Department at the Juilliard School of Music in New York City as its principal instructor of harpsichord. Since 1985 he has served as Director of Music at First Church in Cambridge, Congregational. He is Chair of the Organ Library Committee of the Boston Chapter of the American Guild of Organists and has been adjudicator for competitions sponsored by the American Guild of Organists, the Royal Canadian College of Organists, and the Bach International Harpsichord Festival in Montreal as well as the Broadwood Harpsichord Competition in London and the Miami International Organ Competition. A member of the board of the Cambridge Society for Early Music, he is a founding board member and current president of the Boston Clavichord Society.